Geinsa has recently started up a complete painting line for the Cantabria plant of Nestor Martin, a well-known cast iron stove manufacturer. This plant in Maliaño will be dedicated to the manufacturing of latest generation pellet fuel stoves. 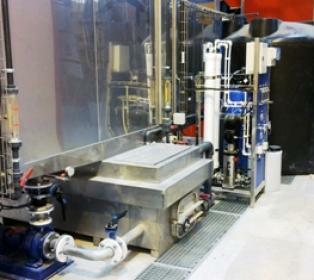 The installation supplied by Geinsa is comprised of a two-stage surface treatment tunnel and osmosis water production equipment, a humidity drying oven, an automatic electrostatic powder paint coating booth with recovery cyclone and absolute cartridge filter, a liquid paint booth with dry filters and a polymerised paint booth.